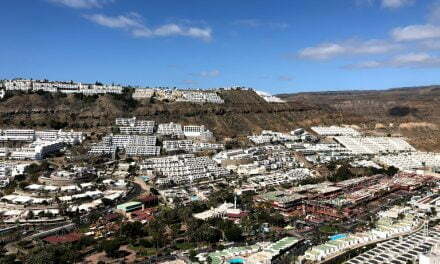 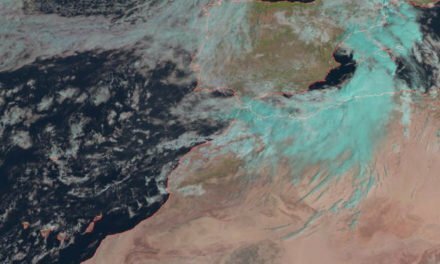 Mid April and Easter fast approaching yet the weather forecast is practically summer time with highs in the shade of 26ºC predicted, a touch of cloud on the north of the island, perhaps a few drops of rain, but on the south bright blue skies and sunshine all weekend. 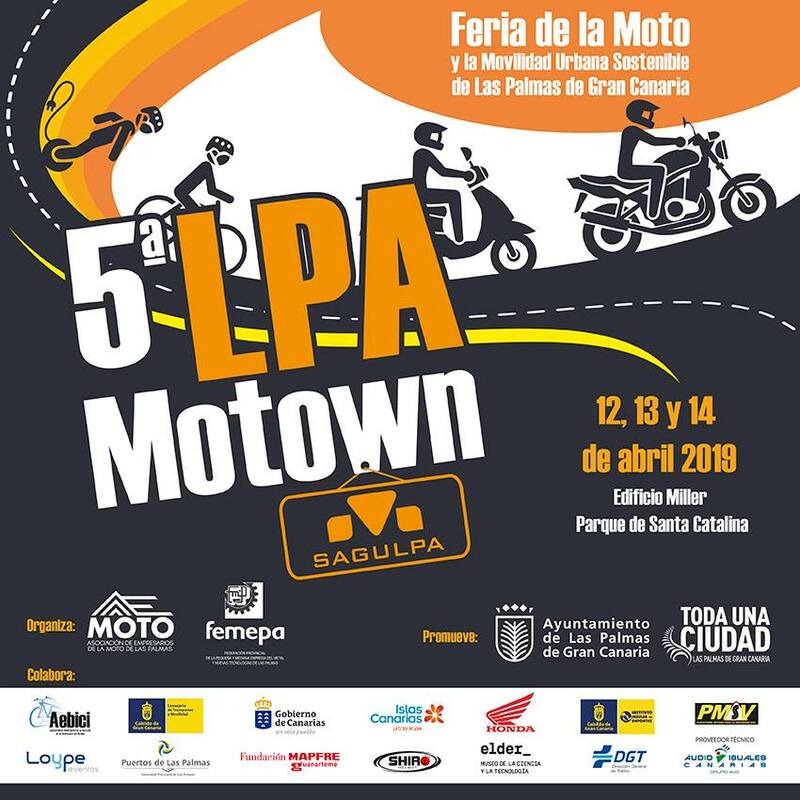 Motorcycle fans and electric vehicle enthusiasts have a real treat this weekend in Las Palmas, there is a great little commercial fair in one of the most historic towns on the island, Vintage market in our Rum capital, an intercultural encounter in the mountains, free music concerts, big prize money for rapid artists, a series of youth events and a traditional fiesta amongst much more besides this weekend on Gran Canaria. The 5th Edition of LPA Motown, the Motorcycle and Sustainable Urban Mobility Fair in the Miller Building and surrounding Parque Santa Catalina in the capital, Las Palmas de Gran Canaria. 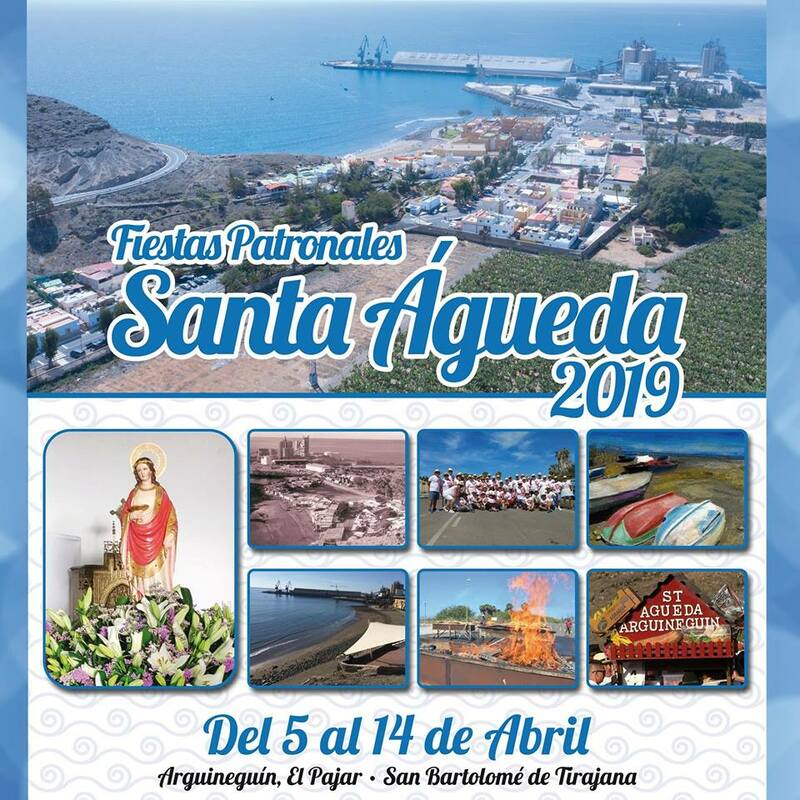 A weekend for the whole family, with activities for all ages, including concerts, exhibitions and displays of electric vehicles, motorcycles, accessories, and everything else in connection to a sector focused on two or more wheels. 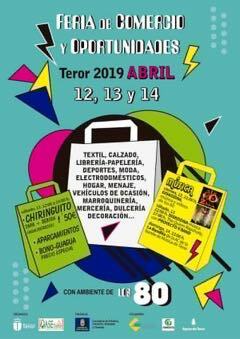 As well as many novelties on offer. 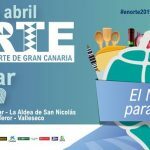 Teror is celebrating their Trade and Opportunities Fair 2019, in which businesses and commercial organisations (from the household, textiles, furniture, sports, footwear, beauty, home, appliances, vehicles sectors etc.) 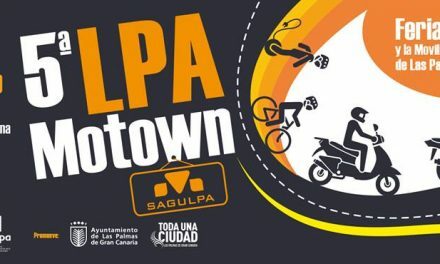 in the municipality go out to the street with a wide range of products for very good prices. The Fair , held around the parking area of the Municipal Offices, next to the Teror bus station sees a score of establishments of different types, set on this occasion in an 80s themed atmosphere, with live music, free parking and a snack bar. 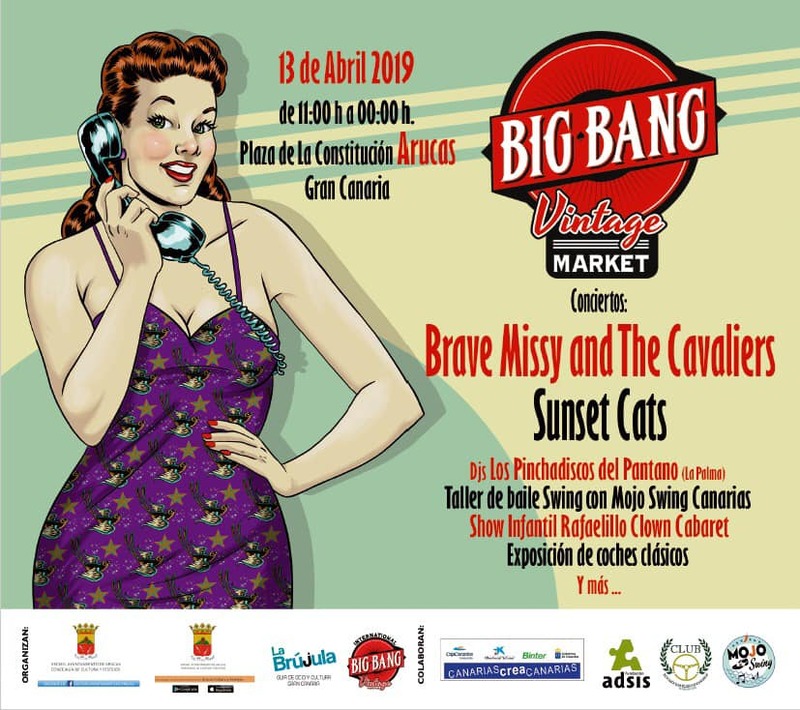 If you like music, collecting, antiques, second hand, pin up, records, fashion, and ultimately the culture of the 40s, 50s and 60s, this is a day for you. 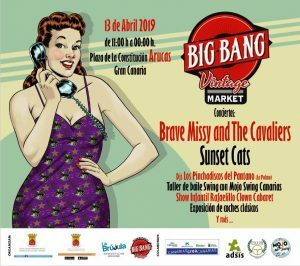 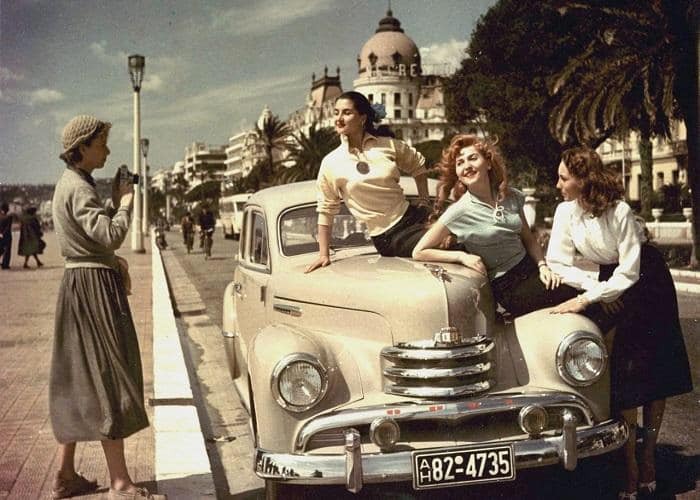 – 11:00: Vintage Market, exhibition of classic cars thanks to Canarian Classic Cars Club, children’s show with Rafaelillo Clown Cabaret, Dj session with Lospinchadiscosdelpantano, from La Palma. 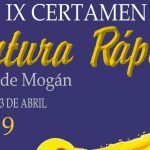 – 17:30 swing dance workshop with the teachers of Mojo Swing Canarias. 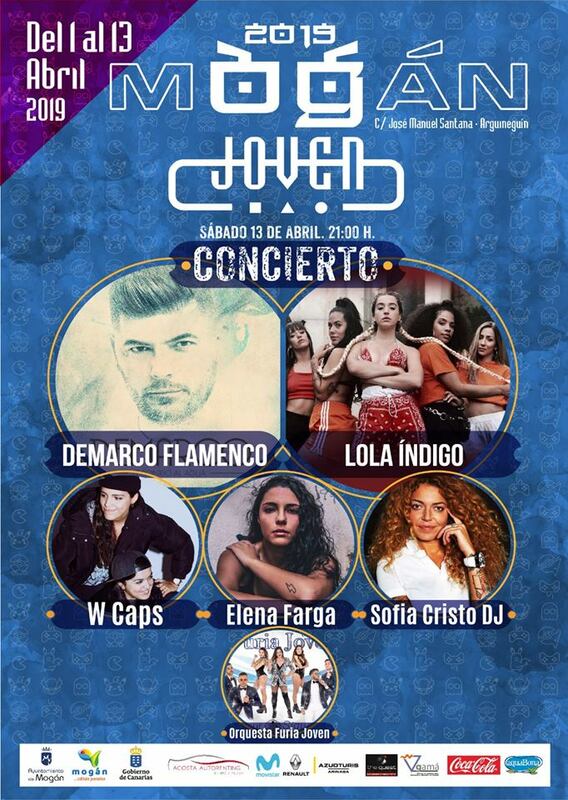 And from 18:30h follows the concerts with the bands PARCHITA COLORÁ and Maldita EGB. 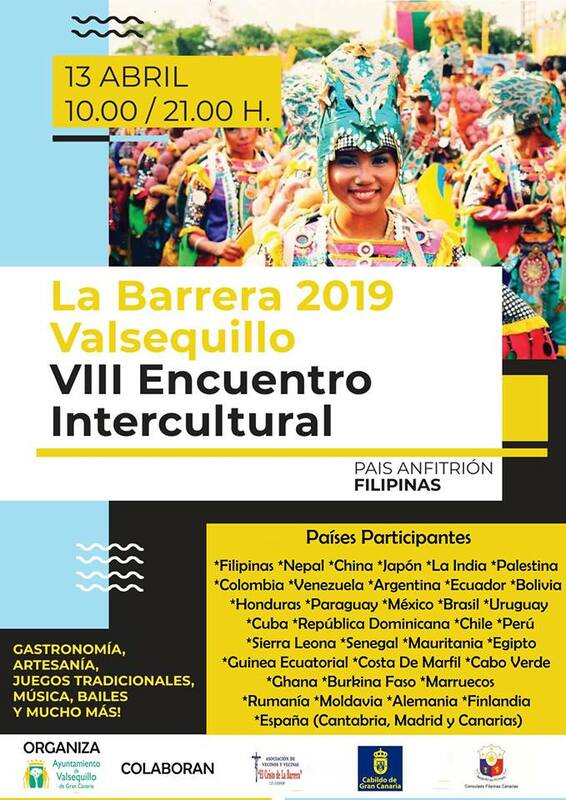 The Eighth La Barrera-Valsequillo Intercultural Encounter. 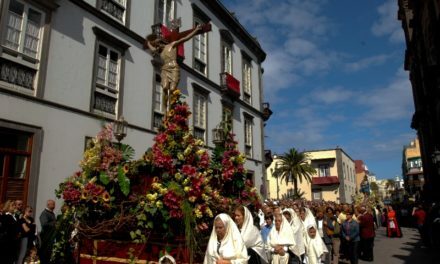 The day will start at 10:00 with a parade through the streets of this emblematic neighborhood, La Barrera, followed by an opening ceremony. 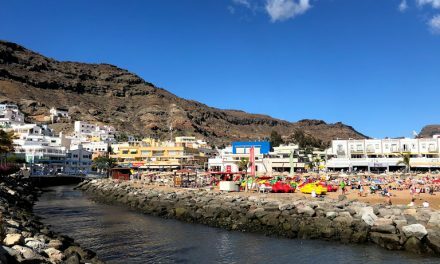 The reading of the manifesto will begin at 14:00. 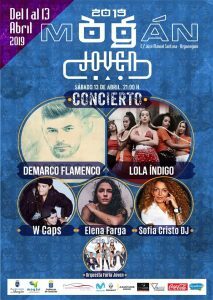 The closing ceremony is at 21:00 and will be given by the famous Dominican-born singer-songwriter Romy Rick, winner of the “Revelation Artist 2013” award, better known as “The King of Bachata”. 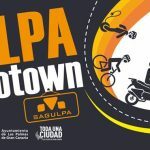 The Musicando series of free outdoor concerts are open for all to enjoy. 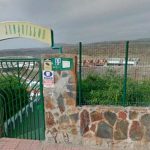 This season started in January in Parque Doramas in Las Palmas. 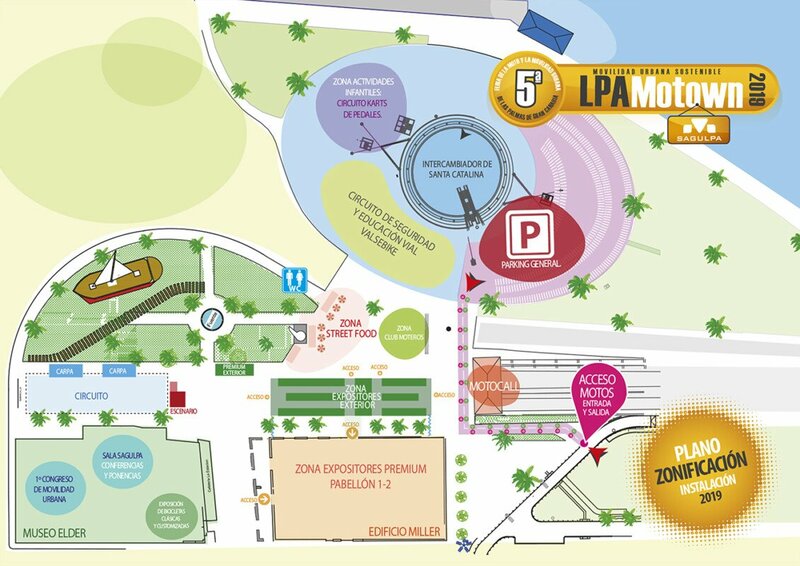 All concerts start at 21:00 and are free to enter until seats full. 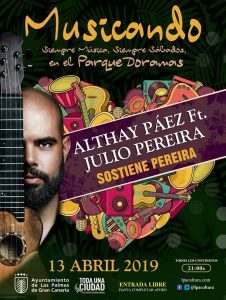 On Saturday, Famous Timple player Althay Páez will have as his guest artist the Portuguese instrumentalist, composer and producer Julio Pereira. 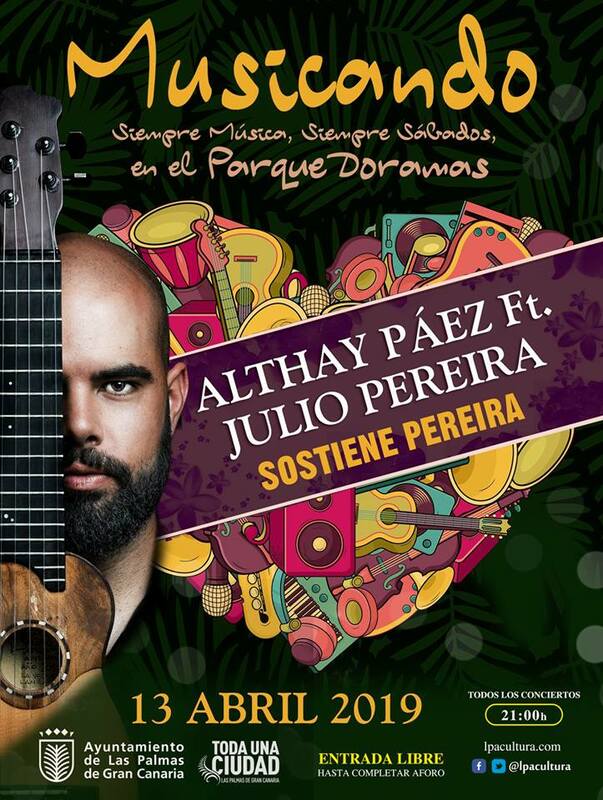 In “Sostiene Pereira”, Althay Páez offers a repertoire that makes reference to his first album, recorded between Lisbon and the Canary Islands. 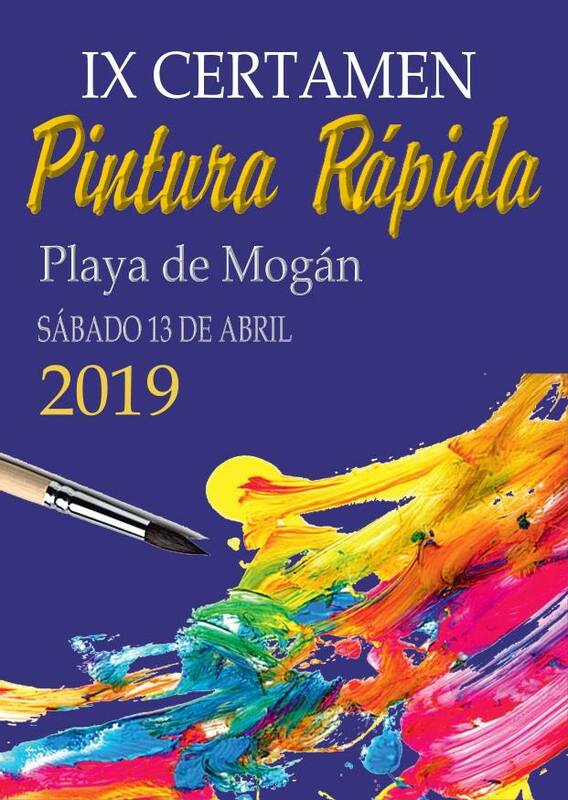 Seaside tourist neighborhood of Playa de Mogán will once again fill its streets on Saturday with brushes and easels to celebrate their ninth popular Quick Painting Contest organised by the Town of Mogán. 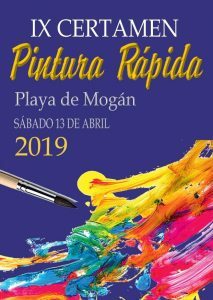 The event will bring together artists of various nationalities who must finish a piece of art, of free style and technique, in a short period of time, that deals with the landscape, monuments or people of this Mogañero enclave. 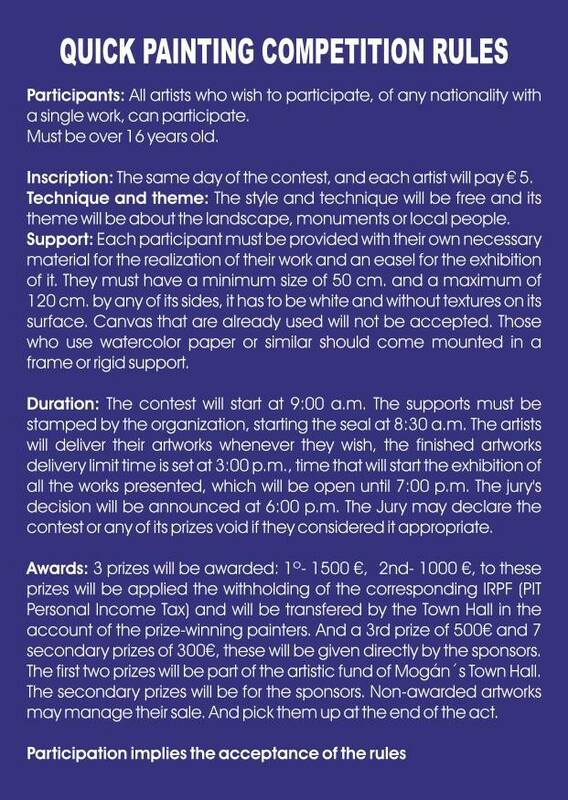 How to participate : The contest registrations open from early on the morning of the day at 8:30. 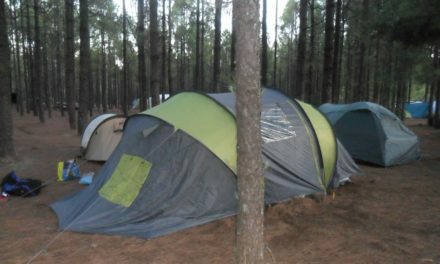 Each participant must pay €5 and be over 16 years. 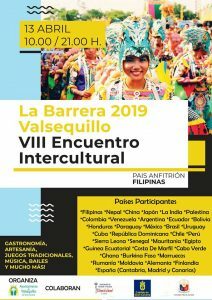 Children under this age may also participate but are not included in the contest. 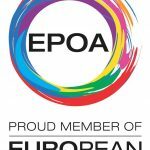 See the rules in English at the bottom of this post. Contest time is from 09:00-15:00 and winners are announced at 18:00 with the 1st price being €1,500. 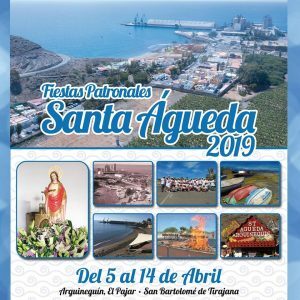 As part of the culmination of this years festivities of Santa Águeda, the little coastal neighborhood of El Pajar, just next to Arguineguin, is having a party for all the kids on Saturday, starting at 16:00. 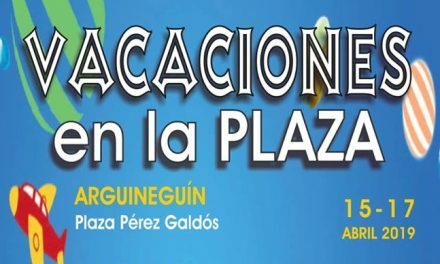 Bouncy castles, cake and activities at Plaza Pública de El Pajar. 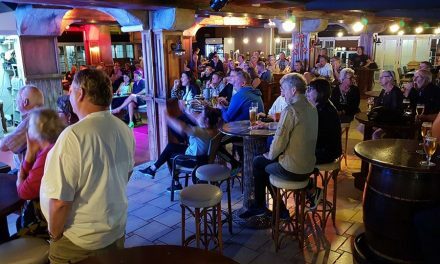 We have a range of exciting advertising opportunities starting from as little as 2€ a day online, with 9 print editions a year and a regular audience reach of more than 50,000 people, 15-20,000 visiting our site regularly.